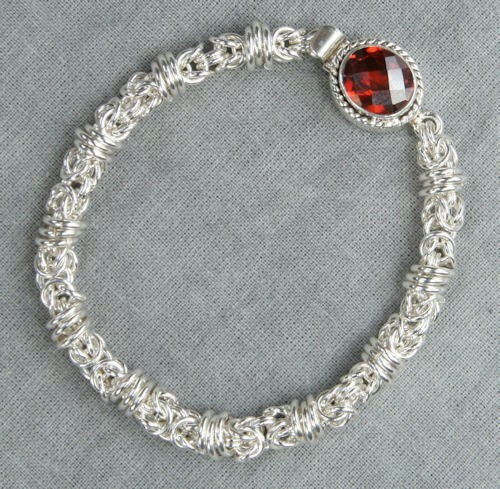 The Rolling Byzantine Bracelet is a wonderful variation of the byzantine weave. The thick rings roll and add texture and movement. This bracelet is also quite beautiful in a two tone variation with the rolling rings being yellow gold filled. I also like making this weave in a long necklace from 28" up to 40". When making this length you don't need a clasp. Matching earrings are also quite beautiful. This is a beginner weave. The clasp is not included in the kit.